My strategy in this year has been to back off the unnecessary and clear my head….decide if I wanted to keep painting, decide how I would go about that, decide what really intrigued me enough to make work about it. The Creative Capital workshop seemed to help propel me past my earlier funk, and gave me the courage to just do what mattered to me. The result has been more drawings, and the beginning of an exploration of things that evoke the quality of being grounded AND tangled…in fact, they are about grass and reeds and such things. 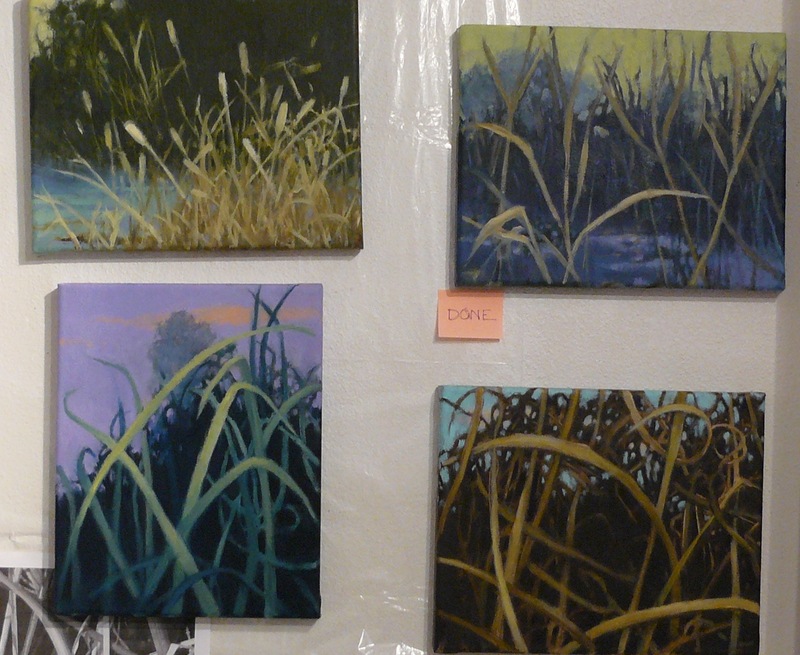 Here are a few of the smaller pieces, hanging on the wall in the “done” section- yay! This entry was posted in Studio Blog and tagged Colorado painters, Creative Capital, grass paintings, grasses, working process. Bookmark the permalink.